Conchos can be added to your belt, saddle, phone case or any leather item. When ordered we will put them on the belt for you unless you request something different. We offer many different conchos including Texas stars, Shotgun shells, rebel flags, mason and military conchos. All our belts are made by us in High Springs, Florida. 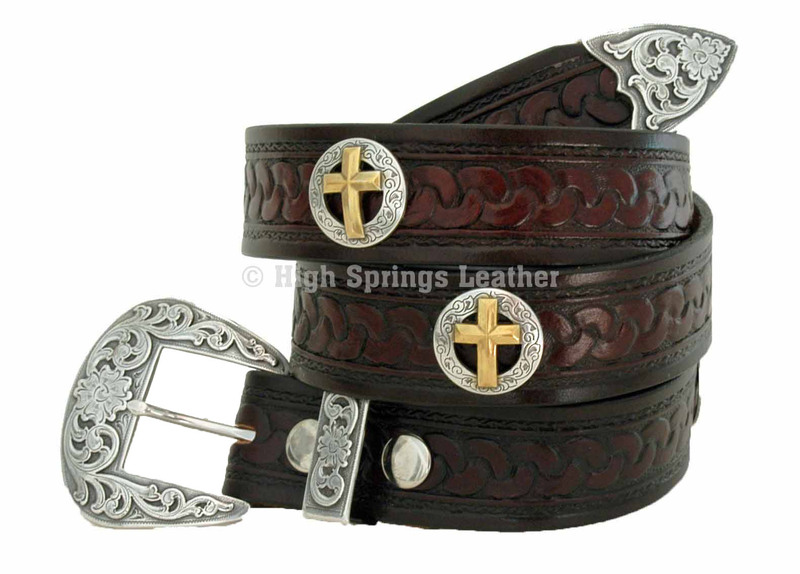 Concho Leather Belt The "Texan"